PEKO proudly announced the arrival of the KIWA Methods-KWH-1000B in a blog post back in November–you can read about that here. Since we've been growing our business, a large Horizontal mill was necessary in order to keep up with the high demands of our customers. We had been searching for a new, large Horizontal mill for a while before purchasing the KIWA. Having a good mix of both vertical and horizontal mills have proven to be fruitful to our operation over the years. 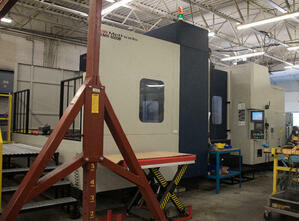 While both machines have their pros and cons, our CNC Supervisors enjoy the benefits associated with horizontals. Horizontal mills improve a machine's cutting capabilities since the metal chips fall easier with the help of gravity. With less chips in the way, while the machine rips away into metal parts, tools can have a longer lifespan. Also, depending on job specifications, Horizontals can eliminate ops due to their structure, saving on time in the long run. And when you work in the world of manufacturing: Time is Money. The KIWA is PEKO's largest Horizontal mill (non-boring mill) to date. With such a large machine, comes large parts and the need, of course, for a larger crane. While this giant can tend to move a bit slower due to its enormous size, it has proved to exceed our expectations at times due to its machining abilities. What are Some Shortfalls of the Equipment? There's no getting around it, this machine is an expensive investment. However, if you can fill the KIWA with work, you should be able to earn back that large investment. This machine would not be a good fit for small sized fab shops, or companies who are only looking to run this machine on one shift. As long as a company has the ability to use the machine at its maximum potential, they will be able to charge what they need to make the heavy price of this machine worth the initial investment. This machine has proven to operate very similar to many of the other Horizontal mills we have in our CNC Machining Division. 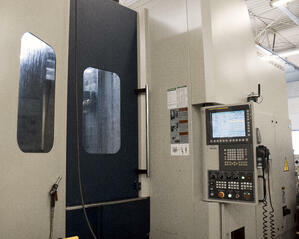 Equipped with FANUC controls, our operators have found this machine to be a simple transition. 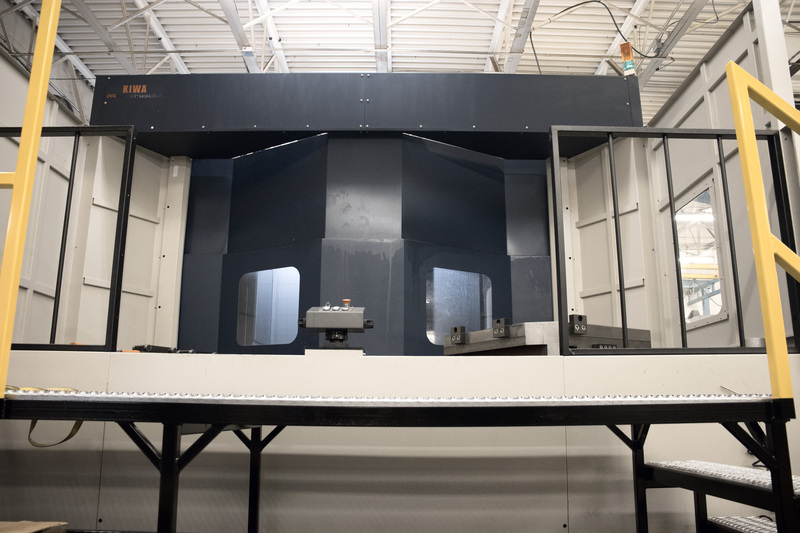 According to our CNC Supervisor, he would feel comfortable putting any of his senior operators on this machine knowing that they have the experience necessary to successfully run high-precision parts. Since we had been looking for a machine of this size for a while, there were many alternatives we looked into. However, we ended up purchasing the KIWA brand new at an auction, so we couldn't beat the price.